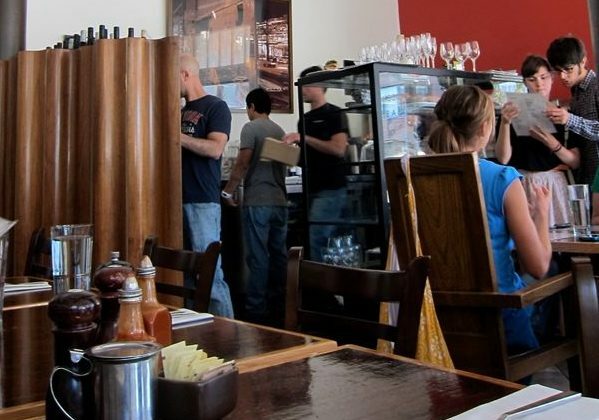 SAN FRANCISCO — Nine current and former employees of Mission Beach Café, where the line for brunch stretches around the corner most weekends, filed a lawsuit today alleging, among other things, that they are unable to cash their paychecks due to insufficient funds, they are not paid regularly, and they usually don’t receive pay stubs. The complaint alleges basic wage-and-hour compliance issues, including failure to pay minimum wage, overtime, split shift premiums, sick leave, or tips in a timely manner, or to provide meal periods and health care contributions (required in San Francisco), in addition to a variety of record keeping and pay stub offenses. Legal Aid at Work (formerly Legal Aid Society-Employment Law Center) delivers on the promise of justice for low-income people. We provide free direct services through our clinics and helplines. We offer extensive legal information for free online and in trainings, we litigate individual and class actions, and we advocate for new policies and laws. The Women’s Employment Rights Clinic (WERC) is a clinical law program at Golden Gate University School of Law. Over the past 20 years, WERC has partnered with community based organizations, advocating for the rights of low-wage and immigrant workers through direct service, impact litigation and public policy work.